Outsourcing can be a very valuable tool to grow and maintain your company, here’s everything you need to know about outsourcing before you take the leap. When two college friends founded Macphun in 2008 and released their first wildly popular app Cartoonatic – they never expected the millions of customers coming their way. Paul Muzok the founder of Macphun, is responsible for creating a software company that specializes in developing user-friendly software to photographers of all skill levels, world-wide. After rave reviews on their debut app, they continue to produce photo-editing apps that consistently top the App Store charts. While their applications were receiving awesome recognition and they grew to over 22 million customers worldwide, they still sought to streamline some of their essential business processes anyway they could. Kevin, VP of Macphun tells us that he considered outsourcing to support their customers in a professional manner. This also freed up the internal employees that were working with customer support, helping Macphun be more productive. In case you’ve gotten this far and still don’t know what outsourcing is exactly… here’s a straight to the point definition by Merrill Matthews of Forbes. As stated above, high-quality outsourcing is becoming more and more popular with small businesses. This is because of the increasing accessibility to technologies that make outsourcing smoother and more efficient. BUT, in addition to this, outsourcing is blowing up because, there are an extraordinary amount of qualified professionals that have left the corporate world in favor of working in a less stressful environment like their homes or small startup offices. These professionals include virtual assistants, marketing directors, copywriters, graphic designers, website/software developers, etc., that all have the ability to work from anywhere in the world. Which Business Processes Should I Outsource? It’s likely that you’re already outsourcing some of your business tasks like payroll administration or background and criminal checks for employment. And with the points mentioned above, it’s easier than ever to outsource nearly any task that you need. BUT this doesn’t always mean that you should outsource just because it is easy for you. Many processes are better off being taken care of in-house, depending on what your priority is… For example, if your priority is to generate huge amounts of revenue with your special sales technique that only your in-house team has perfected — then it’s probably not the best idea to give that task to an offshore contractor. On the other end of the spectrum if your priority is customer support, then it’s probably OK to outsource something like graphic design. Tasks that require highly skilled expertise (that you don’t have). Let’s say you are a CEO of SaaS startup and don’t have a group of executives established yet. Outsourcing some of these positions (at least temporarily) can help get your startup off the ground. So in the end you will have a highly skilled task outsourced for much less than it would cost to have a full-time employee do it. Repetitive tasks. This can be anywhere from outbound sales calls to get the word out about your product or conduct customer satisfaction surveys — to very common troubleshooting issues. Giving these repetitive tasks to your in-house team is a waste of your company’s time and resources. Also included in this list: Filtering Emails / Managing Spam, Answering Customer Service Emails / Tickets / Chat Support, Sending and Management of Newsletters, Data Entry in Word, or Google Docs, PDF Conversion, Splitting and Merging, Preparation of Training Materials, Social Media Management, and countless others. Basically almost any monotonous task you can think of — can be outsourced by freelancers/virtual assistants/call centers. Tasks that require unique talent or knowledge. You may have a great idea for an app and some capital to fund it’s development, but no knowledge of coding/development/design. This is where you might need to consider outsourcing the development of your app. You can hand over your ideas to an experienced developer on the other side of the world and let them take care of the rest (of course with your supervision). Another example is if you don’t have the resources to employ full time IT support personnel to manage your IT systems. You can easily employ an IT expert from freelancer sites like Elance-Odesk or Guru. To cut a long story short… you can easily and effectively outsource nearly any business process that isn’t a priority in your company. One that doesn’t require full attention from your in-house team, or any tasks that you’re not comfortable performing yourself. When Should I Start Outsourcing? For the guys at Macphun, they finally made the decision to outsource when taking care of piles of support tickets became too much for their relatively small staff to handle. But it’s different for everybody. The time to decide on outsourcing may come very early for somebody whose product development depends on it. OR it may come at a later time for those companies that just need a little support. Where Should I Outsource To? 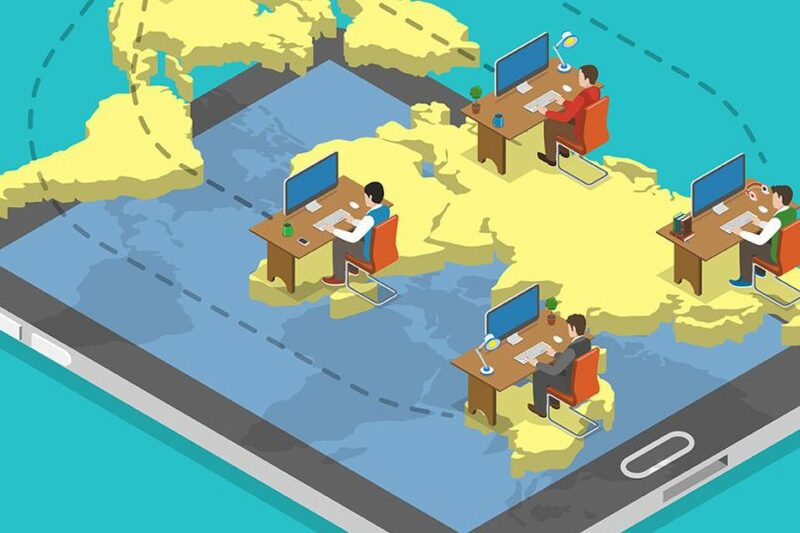 In the world of tech and IT outsourcing services, the most well-known countries to outsource to are India, Philippines, Central America, and Eastern Europe with a total workforce of nearly 1.5bn (Statistic Brain). Due to the poor economies of third-world countries, many companies choose these regions simply because of the cost-savings. You shouldn’t go into the recruitment process with a specific country in mind. Instead you should have an individual’s unique skills in mind. Remember you are ultimately focusing on quality and not just prices. You can review thousands of freelancers on sites like Elance.com or Guru.com. Just pick and choose which ones will fit your needs best. Why would your normal Silicon Valley CEO hire software developers for 100k+ a year, when he can hire equally qualified off-shore workers for a fraction of the cost? This question may bring up some ethical concerns that I’ll address below. It’s important to remember that your typical CEO’s job is to do what is in the company’s best interests. And more times than not, saving money and time by outsourcing… is usually a CEO’s best interest. There are a few different concerns that you need to look at before thinking about outsourcing. Concerns such as security, quality, management, poor work environment, transparency, etc. Do they take data privacy and confidentiality measures to ensure the safety of your customers’ personal info? Will they be available to communicate with whenever you have a question or concern? Do they protect your best interest by taking legal measures? How do they handle the management of their team — can you routinely review your outsourced employee’s performance? Are they performing a job that your in-house team genuinely can’t perform effectively? Can you see/visit their office and evaluate working conditions? Do they have reputable clients they already provide service for? If they don’t follow one or any of these simply business measures… it’s a big red flag. Another concern with outsourcing is language barriers and cultural differences. But by following a strict training and recruitment process this one can be overcome easily. Finally, communicate your expectations clearly and even write up a contract before hiring outsourced members to make sure there is no confusion anywhere. However effective outsourcing is in saving a company money — it still has the potential to harm a company’s reputation. 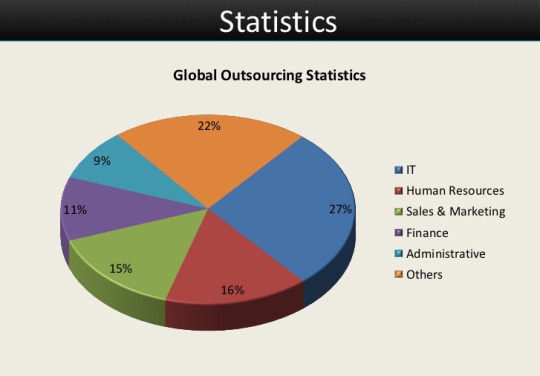 There is a huge stigma against outsourcing. The word “outsourcing” brings to mind different things to different people. If you live in a community that has an outsourcing company and they employ your friends and neighbors, outsourcing is awesome. But if your friends and neighbors lose their jobs to people across the ocean, outsourcing will bring bad publicity. If you outsource part of your operations, morale may suffer in the remaining work force. However… if done right and professionally, outsourcing can be one of the biggest assets to your company. The benefit of huge amounts of work being lifted from your plate, often overshadow the negatives. Now that all concerns are out of the way, it’s time to face the cold hard fact… outsourcing remains one of the best methods to maintain or grow your company. Today’s resources allow any business owner to outsource and take care of nearly any job you can think of… and one that’s just as effective as an in-house employee. Sounds appealing right? So before making that big decision, ask yourself… Am I ready to hand over my work to someone else? When you do outsourcing of any type of services/products, you acquire help that will form a part of your business process or stage. The advantages of doing this can vary depending on your interest and the business area….